Up to 33% of older residents reported being abused in the past year. A new study by WHO indicates alarmingly high rates of abuse in residential facilities. Up to 33% of older residents reported being abused in the past year. The study also revealed that 2 out of 3 staff reported abusing older residents. 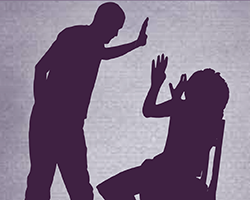 Elder abuse in these institutions is a complex problem with different contributing factors. Urgent multisectoral actions, including response from the health sector, are needed. The WHO Strategy and action plan for healthy ageing in Europe 2012–2020 recommends actions to combat elder abuse. These include building awareness, improving the quality of services in communities and providing proper support to the staff of residential facilities. collaborate with other sectors to address elder abuse, such as the criminal justice, health and social services sectors. learning about the rights of older persons and informing them of these rights.